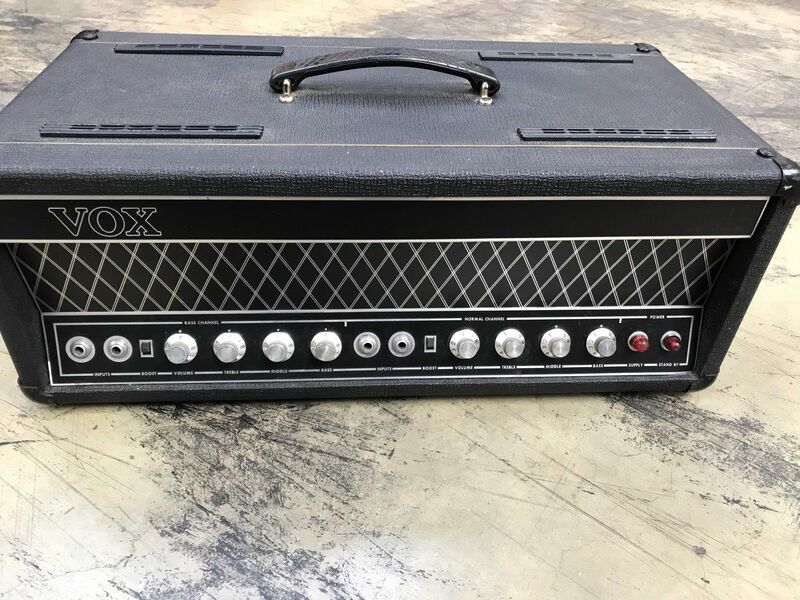 A Vox UL430 recently on ebay now on Reverb for three times more. No serial number plate on the underside (these were often bumped off), and two red indicator lamps. A couple of small holes appear to have been drilled in the chassis at back.